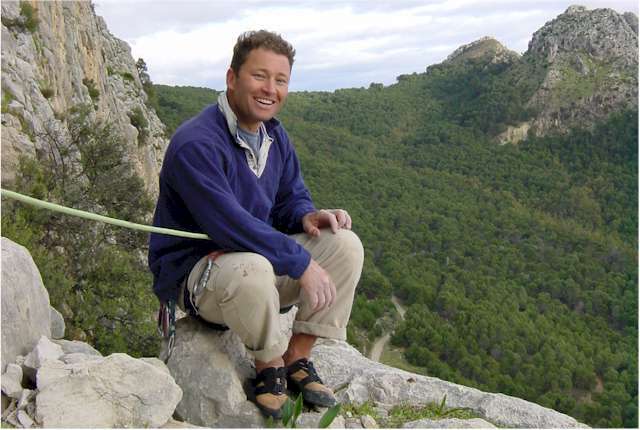 January 2001:A long weekend in El Chorro with Helen and Matt Ward. Susan, Helen & Matt outside our cottage. Susan Mitchell rents out four cottages at "La Almona Chica"
Walking up to El Makinodromo through the gorge along the main Malaga to Seville railway. Above, Helen leading Life is Sweet, 6c at El Makindromo. 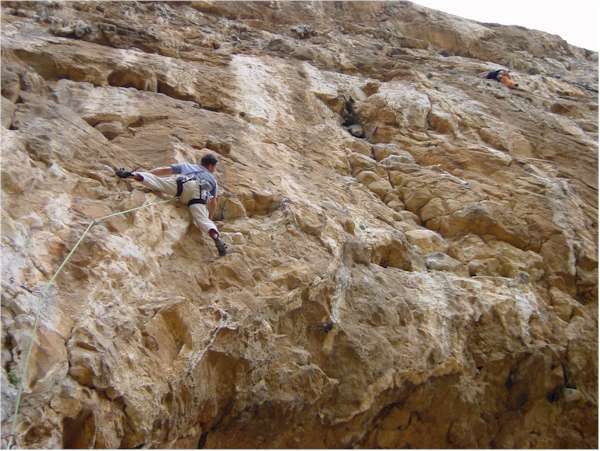 Right, a 7b+ at the Escalera Arabe area. Maquina Cualquiera, 7b+,6c+,7a+,7b+,7a+,6a+, at Poema de Roca. 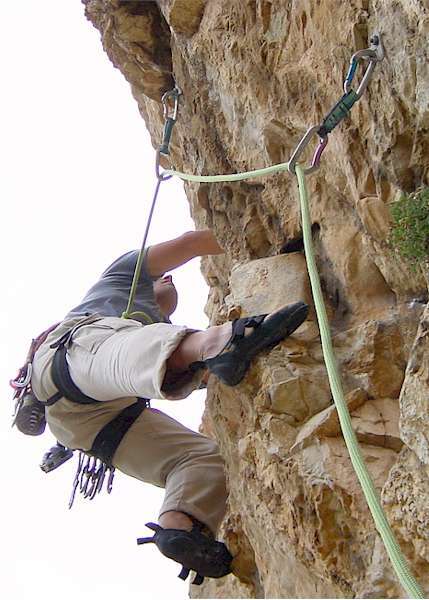 Left, pitch 1: up and along the cave lip. Rounded holds made pleasantly pumpy by the drippings from the birds nests above. 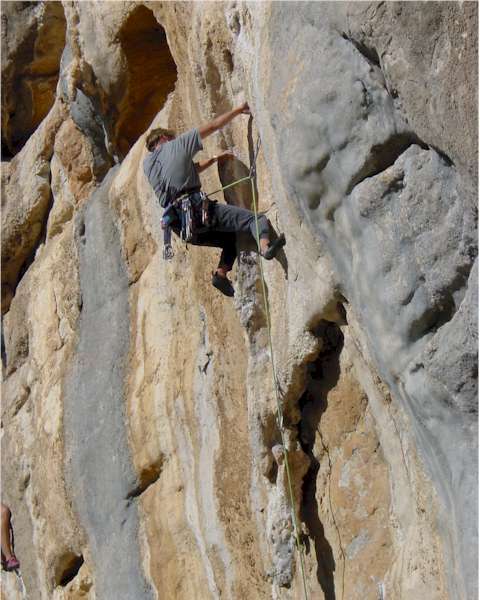 Below left, pitch 3 with a climber belayed on Poema de Roca pitch 4 above. 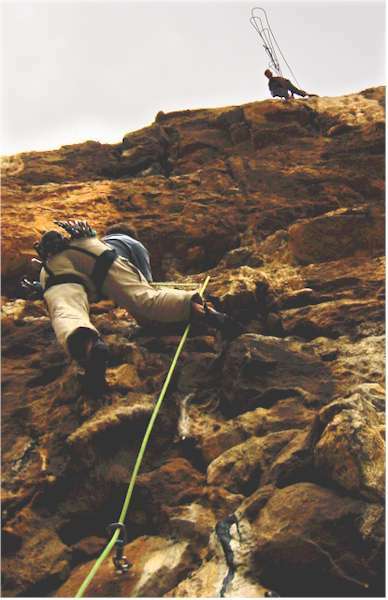 Below right, the start of pitch 5, which continues for 30m of sustained technicality.